Perhaps it is not a distinction that many others would make. But it was important enough for my talkative freedom fighter/terrorist leader to insist that I made the difference clear in my report of our interview. For him, “al-Qaida” meant hardline militants, often of non-Iraqi origin, who were motivated primarily by a radical global militant agenda. This was his definition of al-Qaida and he was sticking to it. There are many other definitions, of course. Some think al-Qaida is a global terrorist network run by Saudi-born “mastermind” Osama bin Laden. Some differentiate between Bin Laden and his close associates, and other militants, such as those fighting in Iraq. For others, al-Qaida is the modern equivalent of the “evil empire”, a vast and nebulous dark force threatening reason and all that is good and right. For still more, al-Qaida is an idea, not an organisation. There are several reasons for this variety. The first is that everybody, not just heads of Iraqi resistance groups, uses the label al-Qaida in very personal ways. Heads of states and taxi drivers are happy to use the term despite only being able to respond with vague platitudes when asked to define what they are referring to. A second reason is that the vocabulary used to describe modern Islamic militancy and related violence is still evolving and that in the absence of better, more precise terms, reflecting a better, more precise knowledge, we naturally fall back on broad labels. A third reason is that nobody really knows what “al-Qaida” currently is. For the general public – and in all honesty most journalists too – detail on “al-Qaida” now depends on selected leaks from intelligence services, the statements of those who claim to be a part of the group itself, and occasional bomb attacks. These last, the violent actions that we all fear so much, are in fact the only intervention of “al-Qaida” in the real world. Otherwise its presence is almost virtual. So all well-researched and intelligent additions to the vast stack of “al-Qaida” studies are obviously very welcome. Though few recent contributions to the genre have been written by people who actually know what they are talking about, no one could accuse either Peter Bergen or Abdel Bari Atwan of lacking ground experience. Both men have met Bin Laden and have been studying radical Islam for more than a decade. I have to declare an interest here, as both authors are friends and contacts, but, even to someone who does not know them or their work, what shines out of their books is a profound desire to investigate and reveal the truth. 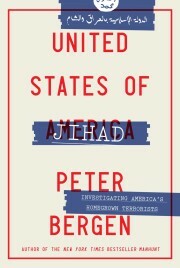 Though Atwan occasionally allows his own views to colour his thinking, Bergen’s analysis is the antithesis of the ideologically driven cant so often spouted by retired police officers, former spooks, superannuated soldiers or sundry other “terrorism experts”, most of whom who have barely travelled beyond Bexhill-on-Sea, the Dordogne or Washington’s beltway, yet appear so often on our TVs or in our newspapers. Mary Habeck’s Knowing the Enemy is also useful. It is a level-headed, intelligent, thorough and accessible survey of modern Islamic militant thinking. It is based on the published statements of the militants themselves, and Habeck’s profound knowledge of the ideological background informing the development of “jihadism” is evident. The sections on the relevance of key historical events to contemporary militants, most notably the crusades, are perceptive, as is the observation, made forcefully and convincingly, that the militants’ project of raising a revolt throughout the Islamic world has failed. Interestingly, there is one huge lacuna in Habeck’s book. Though Israel is mentioned 15 times, Iraq is not mentioned at all. This is astonishing, given the critical role that the war in Iraq has played in fomenting support for the radicals. The only possible explanation is that Habeck, or her publisher, felt that the question of the role of the war in Iraq, especially while so many US soldiers are being killed there, was too hot too handle. If so, this seriously undermines her stated aim of providing a cogent account of how the militants think. The standard profile of leaders of Islamic radical movements – usually men between the ages of 18 and 35, often from middle-class families and often educated to graduate level – is very close to that of many leftwing radical activists. So is their interest in “propaganda by deed” – an idea originating in anarchist and nihilist circles of the end of the 19th century – and in the radicalisation of the masses through spectacular violence. The very concept of a small number of enlightened men struggling to raise the people against a tyrannical power, though very much a part of Islamic religious thinking and culture over centuries, also clearly shared much with the Leninist concept of the revolutionary “avant-garde”. Marxism and its offshoots offered, like radical Islam does now, a dogmatic explanation of the evils of the world and an equally dogmatic programme that would lead to their apparent solution. Marxists saw history in terms of an inevitable dialectic and consulted and selectively cited key and immutable texts; so, of course, do men like Bin Laden, as the volumes under review make very evident. Radical leftwing groups and systems of governments had their rituals, their languages, their semi-god-like individual leaders, their mythologised histories, their hierarchies, their globally applicable identities that ignored national boundaries and, of course, their martyrs. So, plainly, do the contemporary Islamic militants. Then there are the more obvious direct links. Many of the radical Muslim groups set up in the 1970s and 80s made no secret of the fact that they had learned their tactics and organisation from the left, and a surprising number of Islamic militants have actually flirted with leftwing activism before becoming involved in religious radical movements. There is also the anti-semitism that marked much leftwing and all radical Islamic thought. Interestingly, all this has escaped neither President Bush nor the militants themselves. Bergen quotes Noman Benotman, a Libyan-born former militant living in London, saying that “in the 1970s, 80s and even the 90s all these jihadi groups failed to overthrow the governments [of their native lands] … because [they] could not recruit the people … That is the rules of the war, especially guerrilla warfare. I think the godfather for all these things is Mao Zedong. That’s the theory. It’s … Mao. We failed to recruit the people.” And Bush: “The murderous ideology of the Islamic radicals is the great challenge of our new century. Yet in many ways, this fight resembles the struggle against communism in the last century.” Perhaps predictably, Bush does not explore the reasons why communism might have appealed to so many people. There is much, too, that radical Islamic militants, though they would undoubtedly deny it, share with ultra-rightwing ideologies, both those that gripped half the population of Europe in the middle of the 20th century and more modern varieties. There are parallels in terms of the social groups from which the leaders are drawn – the frustrated middle classes who have historically so often provided political activists. There was the common anti-semitism and the traditions of martyrdom. Then there is also the snarling association of modernity with mediocrity or degeneracy, an insistence on morality and racial or religious purity, an appeal to a mythic past imagined as a perfect era of stability and firm values. In addition, there is the strong sense of being rooted in a real or imagined space and territory, a distrust of urban environments coupled with a glorification of rural ones, and a powerful, radicalising, quasi-millenarian sense of threat and impending doom. There was also the obvious appeal to a higher authority, whether that is God, the Nazi party or a mixture of the two, and the common emphasis on demagogic, charismatic leaders drawn from outside the standard political classes. All contribute, in both secular rightwing and radical Islamic activism (and indeed in many of the other fundamentalisms that have attracted so many in the late 20th and early 21st centuries), to a powerful and convincing argument that it is the responsibility of every individual (or at least every adult male) to act and act quickly in defence of his community and way of life. One element common to both left- and rightwing ideologies seems to me to be particularly important. Leftwing ideologies took hold in western and central Europe and then, slightly later, in eastern Europe at times of massive social change, when everything that was certain and reassuring was dissolving in the face of massive industrialisation – and a wave of globalisation – coupled with very rapid technological advance. Rightwing ideologies had been particularly popular, a few decades later, among the swathes of people who felt themselves as suffering in or at least not benefiting from the new order of “the modern world”. This all seems to suggest that contemporary radical “Islamic” militancy might share more than just structure and language with more secular ideologies. Rather than being rooted in “Islam”, as many maintain, it might, at least in part, be a product of very major shifts on a worldwide scale that have provoked a sense of alienation and uncertainty among hundreds of millions of people as well as, crucially, a simultaneous sense of grievance and anger at what is perceived to be the unjust nature of the distribution of power in the contemporary world. If radical leftwing thought was a product of the massive changes in the late 19th century, and rightwing extremism a consequence of the political, social and cultural instability of the early and middle decades of the 20th century, then radical Islam, as well as the resurgent fundamentalisms elsewhere across the globe, might be a function of the inherent instability, both creative and destructive, of our own era. So what might be the timeline on the demise of radical Islam? Well, if radical Islam is indeed a function of the instability and inherent chaos of the process of development and globalisation of our modern world, a process which is not going to stop soon, then we are in for a protracted struggle. The Pentagon recently talked of “the long war” against terrorism. In that, for once, the planners of America’s response to the threat from “al-Qaida”, however you define it, were right. How long? As Habeck, Bergen, Atwan and others make clear, Bin Laden and his followers are thinking in terms of centuries. ·Jason Burke’s Al-Qaida: The True Story of Radical Islam is published by Penguin. His new book, On the Road to Kandahar, will be published by Penguin in May.